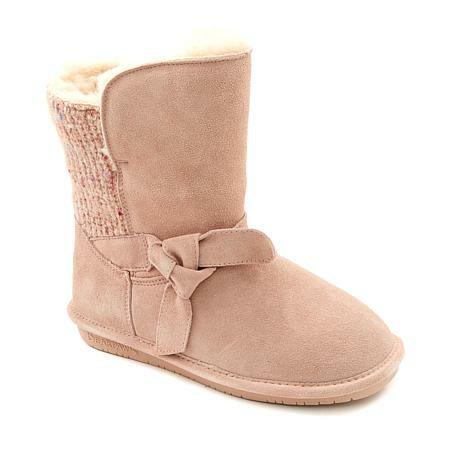 Mixing richly textured yarns and suede, this pull-on boot grounds you in color and comfort. 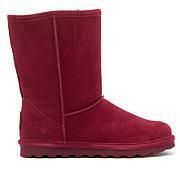 Cozy linings, a water-repelling treatment and a durable sole ensure you stay warm and dry. LOVE THE BEAUTIFUL BOOTS. WEAR SIZE 11 HAD TO EXCHANGE FOR SIZE 12. RECEIVED MANY COMPLIMENTS, ESPECIALLY FROM YOUNGER GIRLS. So cute and comfy. great price too. These are SOOO comfortable, runs a bit snug, half sizes order up, Great all weather boots, Easy ON with larger calf! I wear them ALL THE TIME!!! I bought all the colors!!! !